Various parts (weapons, body parts, head gear, and others for Warhammer, Dungeons and Dragons, Mage Knight, or other games. All attached to sprues. Note: Since posting this listing I've been advised that these parts could be for Dungeons & Dragons, Mage Knight, or Warhammer. I will leave my original description intact (below). 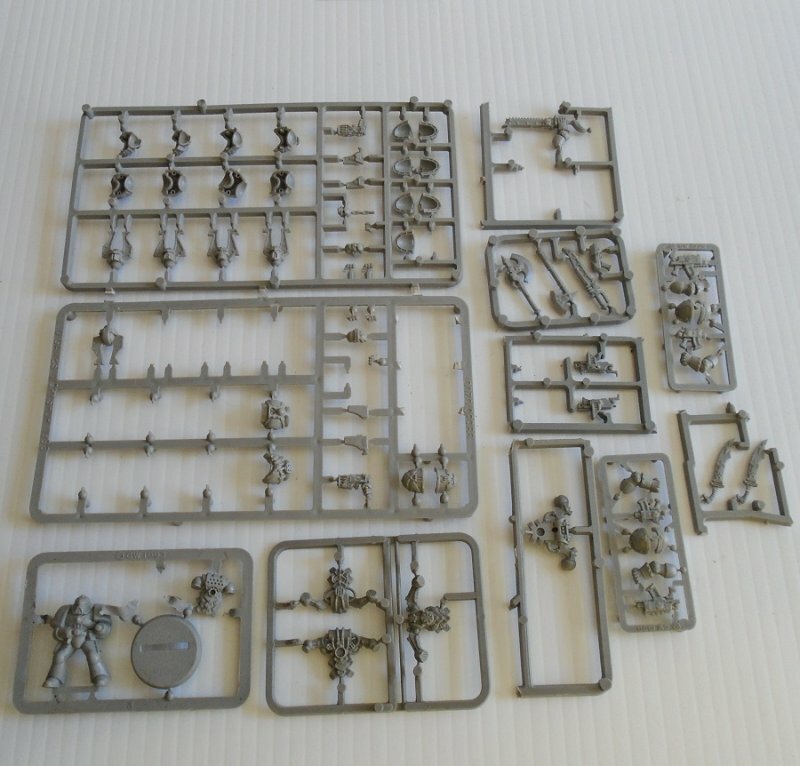 Offered in this listing are several sprues with different types of parts for the figures used in the Warhammer, Dungeons and Dragons, Mage Knight, and possible other games. Some sprues are full, some are partials. Some of the items that I can identify are weapons (axes swords guns etc), head gear, shoulder pads, body parts (arms etc), and some parts that I have no idea what they are. There are about 65 different parts attached to the sprues.